A birthday party soured into a nightmare for a 15 yrs. old girl; Malika Arora* (name changed) when the ceiling fan came crashing down. She was rushed to the hospital where the team of doctors examined her and treated her for her injuries, she came back home with a few stitches on forehead. Few days later, her teachers who were always proud of her for being an outstanding student noticed her grades drop. They grew concerned and informed us. Extremely worried, we rushed to meet up with her teachers at school. It was then that Malika complained that she couldn’t see anything. She had developed vision loss that thwarted her progress in school. But she thought it was from stress of exams and kept ignoring it. We as parents felt responsible as we couldn’t figure out that something was wrong with our daughter. Our apprehension made us visit Advanced Eye hospital and Institute (AEHI), located at Palm Beach Road, Sanpada after one of the teachers at schools had recommended AEHI stating it is to be one of the best eye hospitals in Navi Mumbai. When we arrived at AEHI; the staff on learning our daughter’s age set us up with Dr. Prachi Agashe, paediatric ophthalmologist specialist. We were happy to know that they had a specialist for kids too. She asked us how it all started. We told her about the incident that occurred few days ago. After checking her eyes, she told us she would need to dilate her eyes which would mean Malika having difficulty to focus for a day or two. Since Malika was done with her exams, we asked her to go ahead. Eye drops were put in her eyes and she was asked to close her eyes and sit for half an hour to let the medicines do their work. After half hour we went to consult with Dr. Prachi. 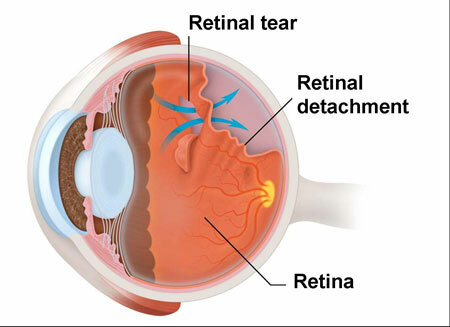 She grew concerned and diagnosed her of retinal detachment. She went on to explain how retina is the deeper part of the eye which is supported well and is responsible for vision but due to her injury it got displaced. We were asked to see Dr. Yogesh Patil, Retina specialist. We thought we would have to visit another hospital but were amazed to find out that he was just a few steps away in the very same hospital. Dr. Yogesh examined Malika’s eyes and did an eye sonography for her. 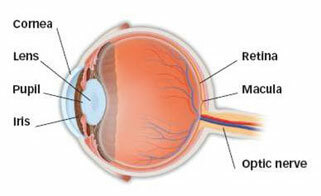 He informed us that the retinal detachment needs repair or can lead to complete vision loss. He also described how the results can be tricky since retina is the primary site responsible for vision and vision restoration would depend on the extent of the area damaged. The surgery was scheduled immediately. Dr. Yogesh Patil explained the working of the eye and the anatomy of the eye which assured Malika and us that we are in safe hands. He described how after giving anaesthesia, a silicone oil bubble would be put in the eye to allow the retina to heal. Malika was taken to the operation theatre. While we waited outside, all we did was pray for good vision. After an hour, Malika was brought out. Dr. Yogesh asked us to follow-up the next day when he would assess her eyes. Her eye did seem red from the surgery which we were told to expect. A few eye drops, and medicines were given to reduce the swelling and redness from surgery. The next day when we visited Dr. Yogesh Patil, he informed us her eye was healing well. We were called in again at 1 week and 6 weeks. By the end of 6 weeks, Malika could see better, and our happiness knew no bounds. We are always thankful to Dr. Prachi Agashe, Dr. Yogesh Patil and AEHI for helping our daughter in the best possible way. is a Paediatric Ophthalmologist at the Advanced Eye Hospital. She has a lot of experience and expertise in dealing with children’s eye problems. 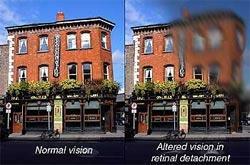 is a Vitreo- Retinal Surgeon at Advanced Eye Hospital and Institute. He has achieved remarkable competence in the treatment of various diseases involving the retina, vitreous and macula as well as extensive training in the skills of various Vitreo-retinal surgeries. Advanced Eye Hospital and Institute in Navi Mumbai is equipped with one of the best eye hospitals in Mumbai for. C comprehensive eye check-up and the its operation theatres are state-of-art and equipped with the best diagnostic and surgery machines. Personalised care, infection free modular operation theatres and beautiful ambiance complement the cutting edgecutting-edge eye care offered at AEHI. Besides treating patients from Kharghar, Nerul, Vashi and Panvel, patients from all over Wwestern India travel to AEHI for world- class eye care management.